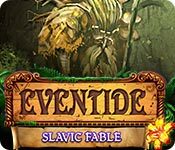 Eventide: Slavic Fable is rated 3.4 out of 5 by 13. Rated 5 out of 5 by denniann2 from takes place in moorland where your grandma is you are needed to help with a moss that is changing the people into into elves/gnomes. they are hoping since you are a botanist that you can help them take care of the evil person that wants to change the world. he feeds on the despair of the people. your grandma helps you to fight the guy by telling you about the fern flower that you need but you have to heal it before it will do you any good. 3 regular levels of play. no custom but the HO scenes are interactive and different kinds. the map is interactive but a little hard to read because it only takes to the general area. you have to hunt to find what you need or where to go or use another hint. i don't know about a sequel. thought they may have been giving a clue about one at the end. the hints and skips do recharge pretty fast. you don't have to wait long. Rated 5 out of 5 by romany09 from Not A Carbon Copy! I found this to be a lovely game. Some games are often carbon copies but this one is about a different culture and that made it unique. Baba Jaga is a heroine in my culture so it was nice to see her not as a child-eating ogre, but as an herbalist and wise woman. The challenge was just right, for me, and I enjoyed the music, graphics and other nice touches. Hope to see more from these developers! Rated 4 out of 5 by Aliana_4711 from Nicely done, easygoing and a little bit too short My star rating is based on completion of SE and my own requirements: - Graphics: The graphics are great, lovely sceneries. - Animation: It is pretty good animated. 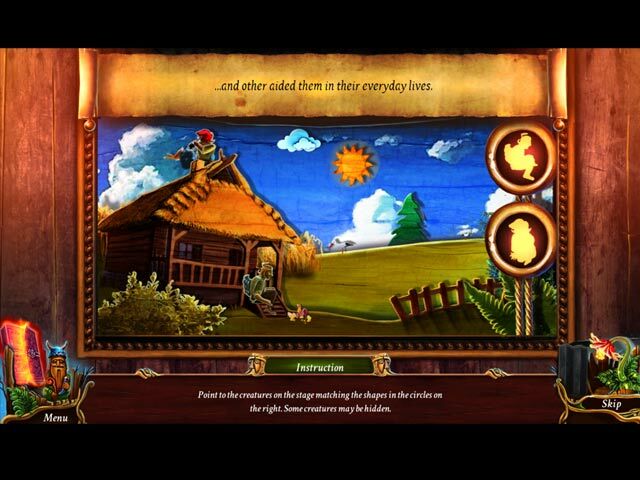 - Voices: good spoken, matching the characters - Tools: an interactive map only - Story: It is a nice fairytale, according to the Slavic’s mythology. - HO’s: there were different types of HO. Nicely drawn, sometimes interactive. Mostly silhouettes and looking for parts of an item. - Mini games: They're different types, nicely done, but quite easy. - Locations: They are divided in 2 sections: First 7 or 8 location, later about 15 locations. The items are spread about all locations – according sections. Sometimes a HO appears later on again. So, you have to go back and forth (within a section). - Challenge: The tasks were logical, but you don’t need to think out of the box. All things considered, it is not too challenging. Minor Dislikes: - Difficulty can’t be customized: there a three levels of difficulty only. - Length: Is too short. I needed about 3 hours and something for playing through. - Music: is a little bit simple. Good news, there is not always music. All in all, it was quite a nice game. If you like fairytales - as I do - you might like it. Rated 3 out of 5 by MarieLouiseB from Cute game, limited trial The game itself is nice and very much like the Awakening series. 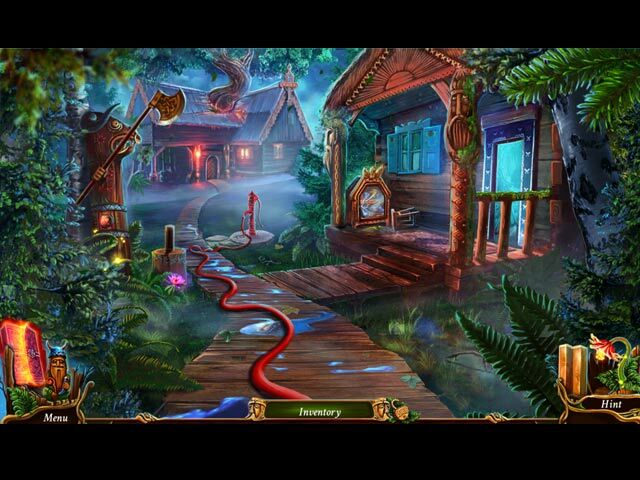 You go on an adventure and have to find different objects and solve various puzzles on your way. Some object uses didn't really make sense so I had to try every object, but overall the game experience was nice. At first I was really excited because the trial period was 90 minutes so I thought, this must be long and complex game, but the trial is limited to the first 2 chapters, which took me 18 minutes to solve. I would have given a 4-star-rating normally, but since it's such a short game, I only gave it 3 stars because of the bad price-performance-ratio, since there are also other reviews saying, that it is indeed a very short game. Rated 3 out of 5 by gevans444 from Gigi Rules Cute game but very simple to play. Games are good but not challenging. Only played the preview game. I will not get this one even with my free credit. Rated 3 out of 5 by foundinmt from A Short Game? Played the demo, only took 42 mins. That was to play 2 chapters. Checked the walk through. It showed a total of 6 chapters. If they are about the same as the demo 2 chapters, then there would only be an hour and a half of game play after purchasing. I did enjoy the demo, a fun, easy game with the usual puzzles. If the game length were longer, might consider buying on sale. But for only another hour and a half of game play? Not so much, this is a pass for me. Rated 3 out of 5 by pegleg_820 from Is that all? There was still free time to play, but the game ended. It didn't seem like it was supposed to be the end of the game. Until that point, though, I had enjoyed the game. I don't usually like these types of games because I get stuck. This one was easier for me to navigate. I can't really recommend the game because of what I see as a glitch. Rated 3 out of 5 by pennmom36 from This Game Would Be More Appealing If The Creatures Were Cute Grandmother is adored by all creatures big and small, and when she asks for your help as a botanist, to save Heritage Park, you know something must be terribly wrong. Your arrival in Moorland isn't welcomed by all, you've always been suspicious of your Grandma's assistant Boruta, turns out your instincts are spot on! Boruta has kidnapped Granny, known affectionately as Baba, and plans on taking over the world once he gains the knowledge of her magical and very powerful potion. This is no ordinary potion, this potion can temporarily transform the magical Slavic creatures, into humans! I noticed that in this Standard Edition, the absence of the glowing Ethereal Flowers, made the graphics less appealing. I wasn't all that impressed with this game as a CE, and I'm even less impressed with this SE, the Slavic creatures aren't very cute, the gameplay is predictable and far too simple. The Collector's Edition has 30 beautiful Ethereal Flowers to collect, and 30 Slavic Mythology Beast Cards to find throughout the game, and also has plenty of Achievements to earn as well. 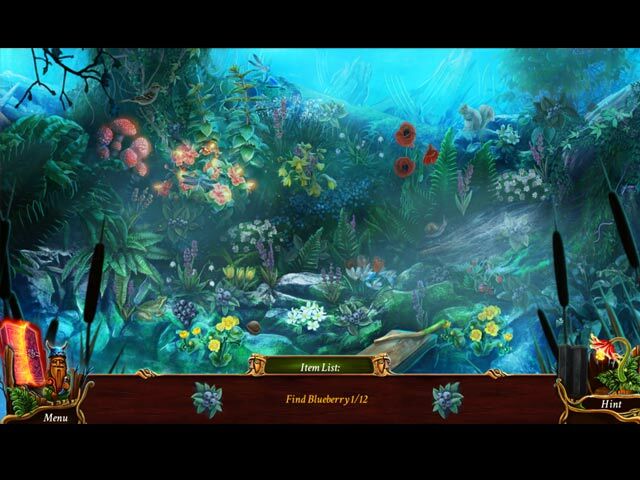 The Hidden Object Scenes are not as impressive as the storyline however, in my opinion, the scenes are blurry and lack imagination or challenge. Most of the HOP's are either interactive silhouettes, or progressive silhouetted shape finds where you find the first item that matches the silhouetted shape and use the item back in the scene to expose the next item and so forth. Very basic, and very easy to complete, to make matters worse, the scenes aren't vivid or colorful, this is supposed to be a fairytale right? The Mini Games aren't bad, but they are way too easy, therefore, it seemed to be a chore rather than an enjoyment. I've listed brief descriptions on some of the games you will encounter: 1) Connect identical symbols with an uninterrupted line. 2) Switch tokens until the image is complete. 3) Place the hands so they are connected by the same color on all sides. 4) Put parts in the proper places. 5) Move sections of the figure to make it resemble the picture shown. The Collector's Edition has 12 replayable Hidden Object Scenes, 23 replayable Mini Games, 5 Music Soundtracks, 6 Wallpapers, 12 Concept Art pictures, 20 Cutscenes, Achievements, 30 Ethereal Flowers to collect, 30 hidden Mythical Creature Cards, a built in Strategy Guide and a Bonus Chapter, enjoy!